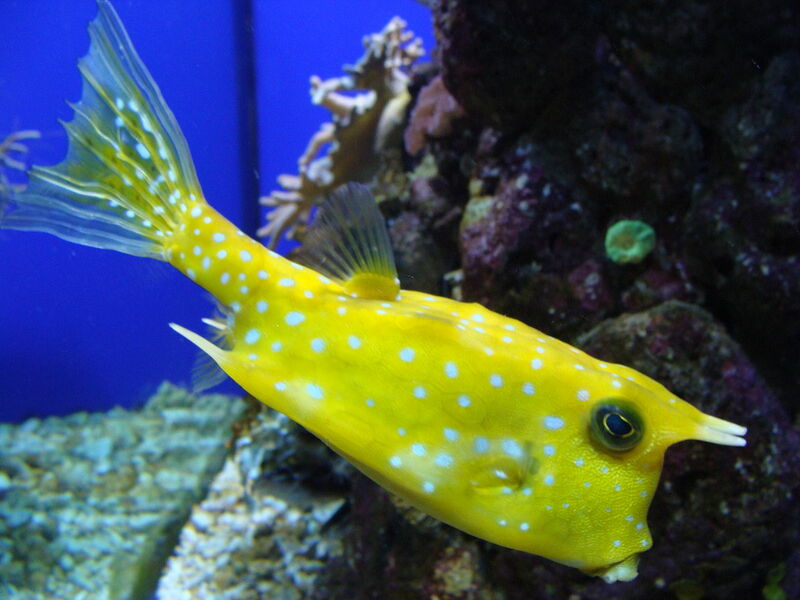 The Horned cowfish is not reef safe as it will eat invertebrates and may take bites out of corals. Care needs to be taken with tank mates as it will gore them with its horns. Nets shell fish and small fish in its diet. Does well in a FO or Fowlr tank but you need to be careful that its tank mates aren’t that aggressive. Because of their beaks they shouldn’t be kept in acrylic tanks, as they can take bites out of the acrylic and leave scratches.